Joe holds a captive audience talking about the era and historical elements of his book! We loved having Joe Harvey visit our school. He used humor and technology to keep the students engaged throughout his presentation, which was extremely informative and thorough. There was something in it for everyone! Teachers and students both commented on how much they loved his visit and quite a few students were inspired to read his book, From Blue Ground. I also enjoyed the book immensely because of the adventure and mystery that made our local PA history come alive. Please contact me about scheduling an author visit to your school, book club, store, or event! I am willing to make presentations on a wide range of topics from the basics of historical research and the writing process to the nuts and bolts of seeing an idea through to publication. Examples of presentations are detailed below. I will tailor or combine any of these presentations to meet the needs of your particular group and age level. Presentations generally last from 45 minutes to an hour and are suitable for grades 4 through 12. New! For schools in the Lehigh Valley Area! I’m now offering six-week after-school workshops for young writers for $15 per session. If you’re interested in bringing a workshop to your elementary, middle, or high school please contact me using the form at the bottom of the page! For students in fourth through eighth grade, I have two presentations dealing with the writing and publication process, and how writing is both an art and a business. Hands-on workshops for small groups are available for each presentation. Balancing Clarity and Creativity: The first presentation examines how writers use the stages of the writing process to balance the creative impulse and the functional elements of storytelling. Using examples from my personal drafts, manuscripts, notes, and research, students will examine the various elements of narrative storytelling from description and dialogue to setting and plot. Concrete examples will illustrate how manuscripts can be revised at both the sentence and structural levels. In the end, students will gain a better understanding of how the writing process is an artistic conversation between the writer and the reader. The Art and Business of Writing: From Idea to Publication: The second presentation examines how each book starts with an idea and blossoms into a finished work. The presentation examines each aspect of the publication process from submitting a manuscript to working with an editor, cover artist, production designer, and publicist. Various cover and book designs are examined and discussed to illustrate how each person in the process is vital to the success of a book. Special emphasis is placed on the author as an artist and how important it is to believe in yourself and take ownership of your art to ensure your ultimate vision is realized. For high school students, I have two presentations that focus on the two aspects of historical fiction. 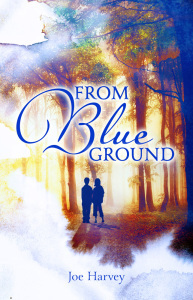 Both use examples from my young adult historical novel From Blue Ground. Hands-on workshops for small groups are available for each presentation. The Lens of Historical Perspective: The first presentation examines the historical underpinnings of the novel and surveys the rise of the Gilded Age in the United States in the 1870’s. Using historical characters from the novel, the presentation focuses on how history is not always “black and white” and sometimes the heroes and villains change over time depending on perspective. Early industrialists and labor unions in Pennsylvania and the United States are investigated. Motive and Plot in Historical Narrative: The second presentation examines the intertwining elements of plot and character. The fictional element of historical fiction begins with one question: what if? This presentation investigates the origins of plot and character and how they are influenced by both a character’s personal motives and the inevitable unfolding of historical events. Character motives and plot lines are analyzed from personal and historical perspectives. Visit my page on the Society of Children’s Book Writers and Illustrators Speaker’s Bureau page! Planning an author visit? Check out this great resource, Author School Visits By State, from author Kim Norman! *Plus travel expenses if over 2 hours from Bethlehem, PA. Please contact me for pricing. Two schools may work together for a maximum of four presentations per day if they are within a reasonable driving distance. Please plan for adequate drive time as well as time for lunch between morning and afternoon sessions. A promotional mini-poster will be provided specifically for your school. An order form will also be provided for preorders. If orders are collected after the presentation date, free shipping is available with an order of ten or more books. Payment for author visit is due the day of the presentation. Please contact me using the form below for more information. I am more than willing to work with you to meet your needs and budget! Contact me about an upcoming visit!